NWA Democrat-Gazette/J.T. 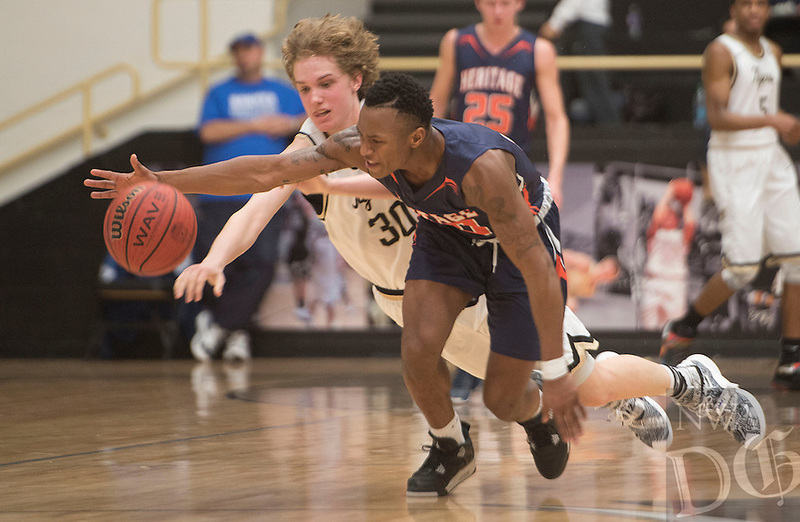 WAMPLER Bentonville's Asa Hutchinson and Heritage's Lexus Hobbs chase a loose ball Tuesday Jan. 26, 2016. Bentonville won 60-39.